Shiva. . HD Wallpaper and background images in the Siamese Pusa club tagged: siamese. 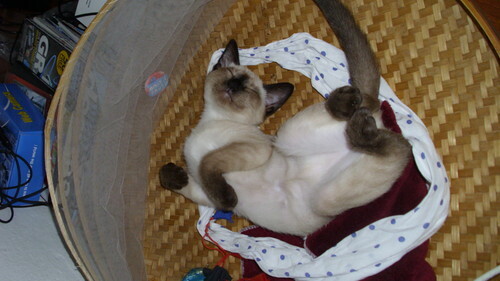 This Siamese Pusa photo contains Siyames cat, Siyames, tom, pusang lalaki, basket, and handbasket. There might also be kuting, Kitty, packing box, packing kaso, and yari sa sulihiya basket.